Please note: Tambuzi offers standard and tailor-made mobile safaris to some of southern Africa's most sought-after destinations. Contact our reservations team who will assist you in choosing the most suitable safari package for you. 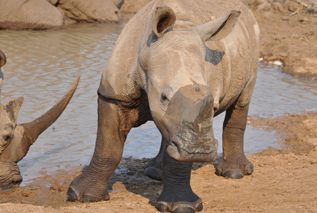 My first South African experience with Gert was when I went on a 7-day safari trip in the Kruger National Park. We were able to view an abundance of wildlife, breathtaking views, and various terrains. The food and drinks next to the nightly campfire listening to the roaring echoes of lions in the distance was a phenomenal experience. My favorite part of the safari trip was viewing the African elephants! Our mobile camping safari has been designed to offer the same high quality wildlife safari experience provided by the top-end safari camps. We provide 4x4 game viewing, escorted by top certified FGASA (Field Guides Association of Southern Africa) guides in exclusive wildlife conservancies away from the tourist areas, but at a reduced price. 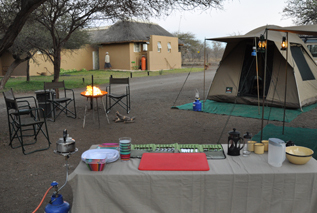 We provide this by staying in small basic rustic camps, “real camping” instead of the expensive up-market luxury tented lodges. This participation safari is perfect for energetic explorers and those with budget constraints. 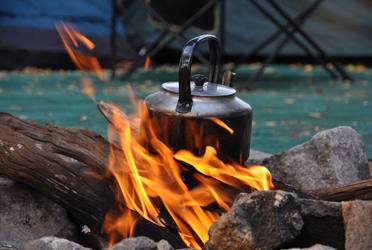 You will enjoy the hands on experience of erecting your mobile campsite, helping with meal preparations, washing dishes, and/ or building a campfire. A certified FGASA (Field Guides Association of Southern Africa) guide is provided giving you insight into the wildlife, flora and fauna of the various terrains. Playing an active role in your safari adventure gives you an opportunity to really get involved with experiencing Africa in a truly authentic way. The tourism services featured on The Safari Co. website assists you in making your African safari everything you expect it to be. Start by seeing WHY AFRICA should be your next holiday destination! indian ocean islands, east africa safaris. The Safari Co. is NOT a booking agent - we provide useful information about Africa Travel and connect you directly with the best travel services in Africa, so that you get the best service at the best price. Deal direct and SAVE.